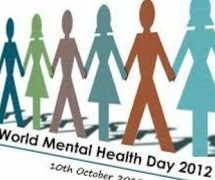 The 10th of October is World Mental Health Day, a day for global mental health education, awareness and advocacy. 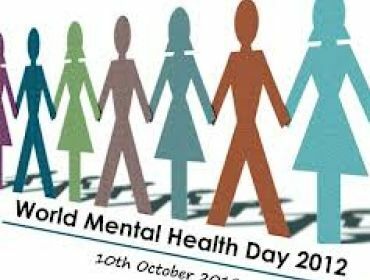 The day was first celebrated in 1992 at the initiative of the World Federation for Mental Health, which is a worldwide mental health organisation with members and contacts in over 150 countries. Every October, thousands of support, guidance and advice organisations and professionals, or even people who’re interested in mental health, come together to celebrate the day. They also bring attention to mental health and mental illness and the effects it can, and does, have on peoples’ lives. Many people think about mental health in a very negative way and associate it with mental ill health conditions such as schizophrenia, depression, bipolar etc. Mental health however is also about how we think, feel and how that affects our behaviour. We know how to look after our physical health but because we often don’t understand what mental health is, we don’t know how to look after it. Some mental ill health issues are related to medical conditions but many are related to how we feel and what has caused us to feel that way. For example, if a young person has concerns with their body image, it can affect how they feel about themselves. This may lead to issues such as low self esteem and in more serious cases, eating discorders. Many peopler, including young people, suffer with mental ill health issues such as eating disorders, self harm, anxiety, depression and worry about getting help or support because of what people may think. World Mental Health day is here to celebrate mental health, not to frown upon it. We shouldn’t judge people with mental health problems, we should celebrate our minds and learn more about the effects of mental health. Information on counselling and psychotherapy and details of therapists. A mental health charity where you can to turn for advice and support.